Police said the 42-year-old started the fire in the early hours of Wednesday morning in the southern city of Jinju, and waited on the second floor of the building to attack people running downstairs from the blaze. 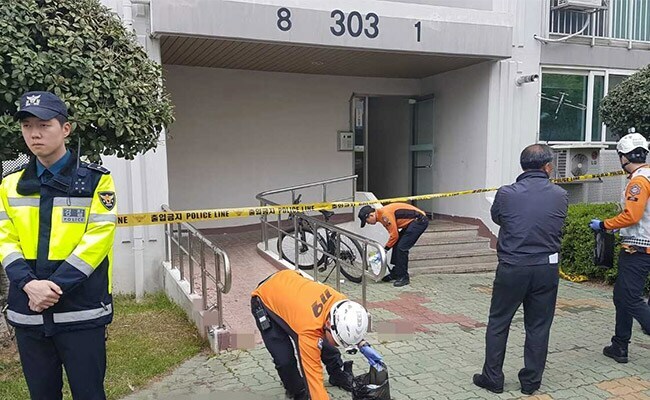 Five people were killed and more than a dozen others injured by a South Korean man who set his apartment on fire and stabbed his neighbours as they tried to flee the flames, police said Wednesday. The youngest of the five victims stabbed to death was a 12-year-old girl. An unnamed resident told Yonhap news agency that he initially tried to leave the building after hearing the fire alarm but went back to his apartment after seeing "lots of blood" in the hall. "I heard he was holding knives in both hands," the neighbour said. The arsonist, who was detained at the scene, told police he committed the crime to defend against "maligning forces".